Hi Bluebird Patch teens! 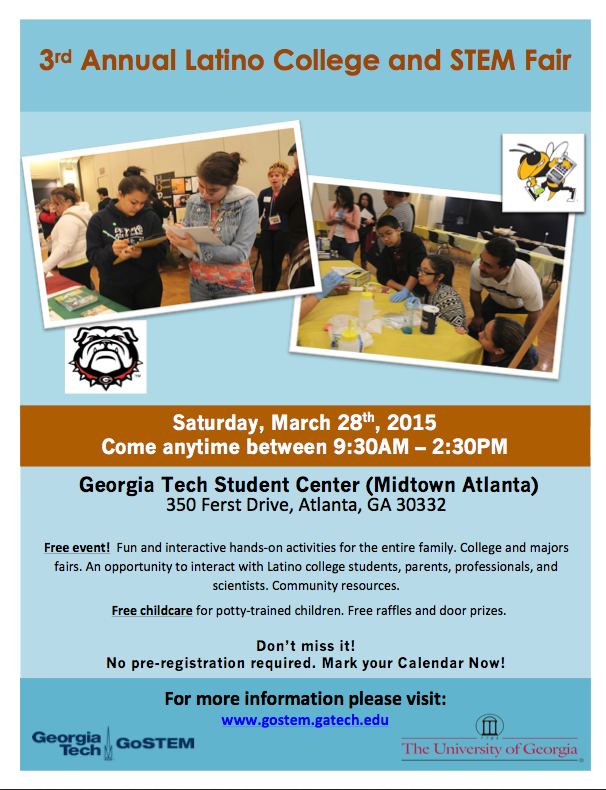 The Latino college and STEM fair is back at Georgia Tech. This is a free event with fun and interactive hands-on activities for the entire family. College and majors fairs. An opportunity to interact with Latino college students, parents, professionals, and scientists. Community resources. Free childcare for potty-trained children. Free raffles and door prizes. No pre-registration required. Come anytime between 9:30AM - 2:30PM. Mark your Calendar now! I go every year and L-O-V-E it!